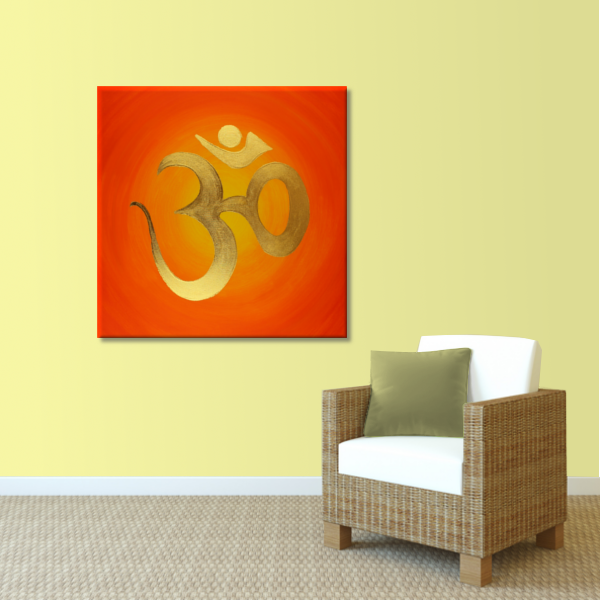 Product information "Canvas Art "Gold OM" - 24ct gold leaf - energy picture hand painted - from 40 × 40 cm"
The mural "Gold Om" is a hand painted energy picture on canvas. 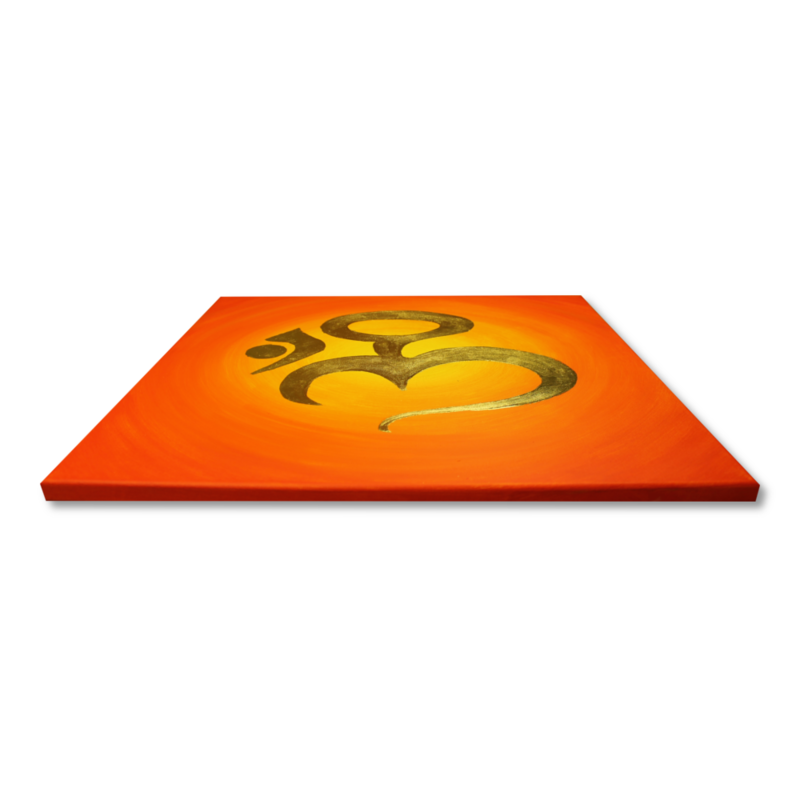 The background color was orange / yellow. 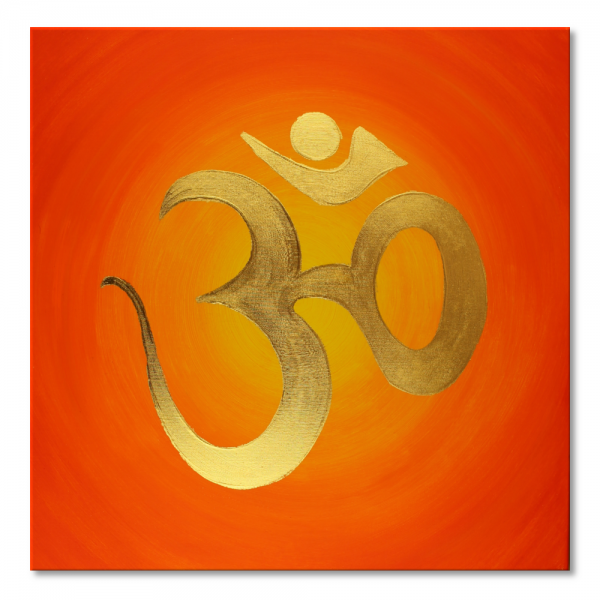 Also, the OM sign was gilded by hand with 24ct gold leaf. This gives this mural a special energy and power. 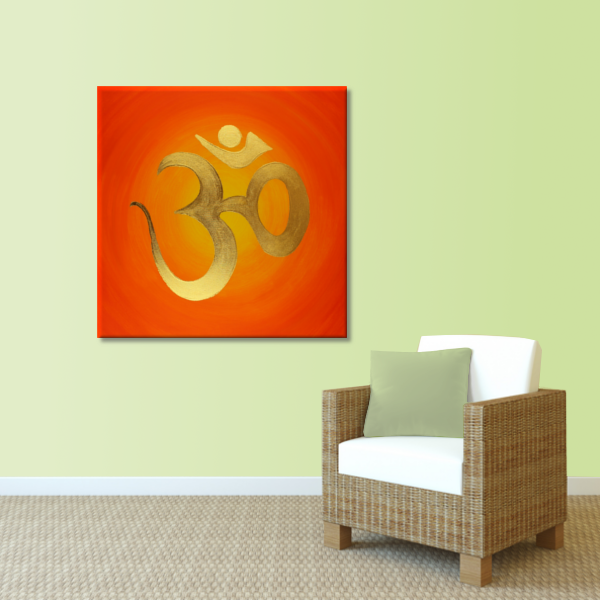 The mural "Gold OM" is available in sizes 40x40cm to 100x100cm. Related links to "Canvas Art "Gold OM" - 24ct gold leaf - energy picture hand painted - from 40 × 40 cm"
Customer evaluation for "Canvas Art "Gold OM" - 24ct gold leaf - energy picture hand painted - from 40 × 40 cm"